Second weekend trip is now in the books. Destination: Cathedral Cove. It had been a few weeks since I was last in a car and out of the city. This time, however, was a bit different. I caught a glimpse of what New Zealand is known for: its vast landscapes of rolling hills and sheep. Like lots and lots of sheep. If we weren't driving in a beat-up minivan, I would've sworn we were trekking through the Shire. After a scenic drive to the eastern coast of North Island, we stayed at the Tatahi Lodge (10/10 would recommend; the lodge was gorgeous). 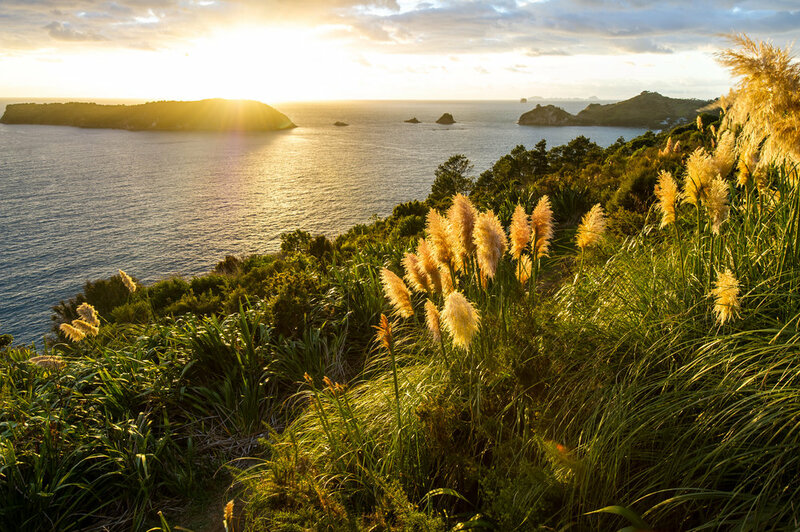 The next morning, we woke up early to head to an outlook over Cathedral Cove for sunrise. It was pretty darn early, but holy smokes was it worth it. After returning to the lodge and eating breakfast, we started off for Hot Water Beach, renowned for its, well, hot water on the beach. I tinkered around with long exposures. And had a solid seafood lunch. Prawn Crostini Sandwich at Hotties Beach Shop at Hot Water Beach. After relaxing in the mini hot tubs at Hot Water Beach, the group headed back to the Cathedral Cove outlook to walk out to the cove itself. And then there was Cathedral Cove.